Supplementary materials for teaching Issue 03 are listed below. Stephen O’Connor and Melody Nixon discuss dreams, the unconscious, and the right/ability of white writers to write across identity lines. 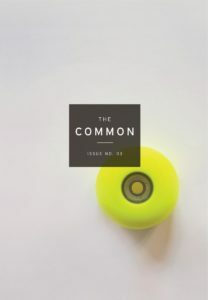 O’Connor’s short story “Double Life” appears in Issue 03. Norman Lock and Lindsay Stern discuss fable, place, sociology, and more. Lock’s poems “Alphabet of Scratches” and “Alphabet of Torment” appear in Issue 03. Tess Taylor and Diana Babineau discuss personal ancestry, American roots, slavery, and uncovering what remains of a broken past. Taylor’s poem “Love Songs in Winter” appears in Issue 03. See all of Issue 3.